Two heads are better than one, they say. Or, equally, that no man is an island. In creative processes, this can often be the case. Pooling together know-how or alternate perspectives and approaches can lead to collaborative projects in which the creations conceived by the parties involved often adds up to more than the sum of its parts. Take, for instance, McBusted. Then forget about McBusted entirely and think of a way more satisfactory example. Scarlett Johansson and Dave Sitek's work on the Tom Waits cover album Anywhere I Lay My Head springs to mind. Or, in fashion, Wu Tang Clan's pairing with Alfie was a profitable as it was commercially acclaimed. And, for cinephiles, perhaps there are few better examples than the fruits borne of Werner Herzog and Klaus Kinski's fractious collaborations: they may, on many occasions, have earnestly threatened to kill one another but the results of their labour - Aguirre, Wrath of God and Fitzcarraldo in particular - are barely matched in cinema lore. Ed Hardy and Starter Black Label are looking to add their names to this list of legendary pairings. 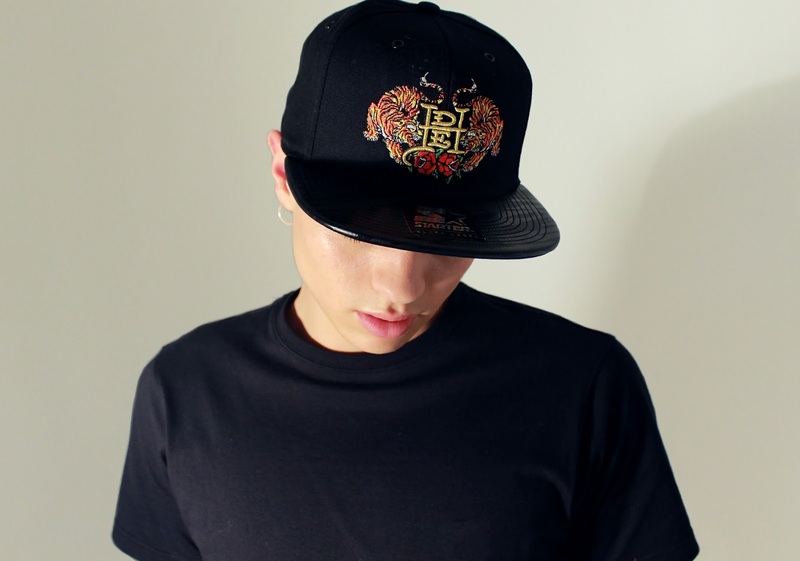 Ed Hardy X Starter Black Label represents the forthcoming AW 2016 project from the brands which sees them team up on a range of woolly beanies and snap back caps (available from this summer onward). In many respects, the pairing between Ed Hardy and Starter Black Label makes perfect sense, mixing, as they do, the iconic blend of Japanese and American style tattoo artistry of the former name to the sartorial quality of the latter. As tattooing and, as such, tattoo-influenced graphic designs have crept increasingly into the mainstream over the last decade and a half, Hardy has been able to find new outlets for expression away from the medium which made his name and, in Starter Black Label, has found a street-wear inspired sport brand who share many of his aesthetic values. 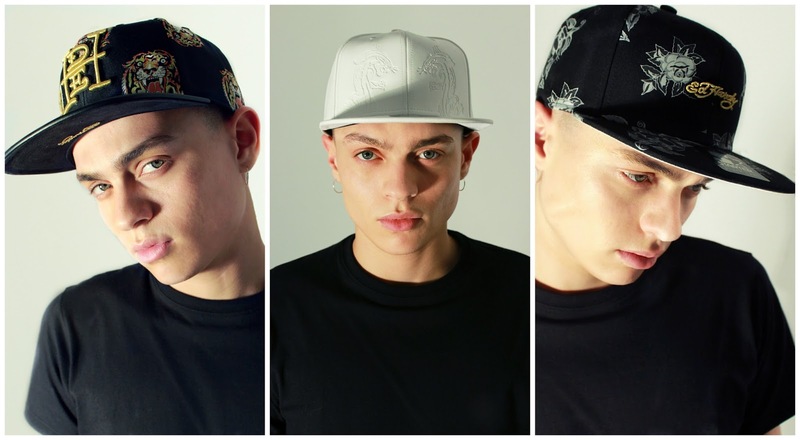 The Ed Hardy X Starter Black Label collection combines traditional head-wear silhouettes and lay-outs one may find in heritage sports attire with the sleekly packaged counter-culture designs associated with the tattooist. Recurring motifs throughout the range include the designer's signature, an appropriate representation of how much his personal brand has grown in recent years, and colour-popping designs aimed at drawing the eye to the vivacious graphics on display. The Ed Hardy X Starter Black Label range is, of course, not the first time Ed Hardy has collaborated with other fashion or design partners. Indeed, having initially stepped into the fashion field in 2002, Hardy has a number of projects in alliance with other partners currently available to purchase. These include, but are not limited to pairings with Illustrated people (IP x Ed Hardy, available at Topshop), Benjamins of Milan's iPhone Cases, and MC2 Saint Barth (men's swimwear). Be sure to keep up with Ed Hardy on social media - follow the brand on Instagram, and check out their Facebook and Twitter channels too. I absolutely LOVE those beanies. They'd be great for when you are exploring a city in the winter!